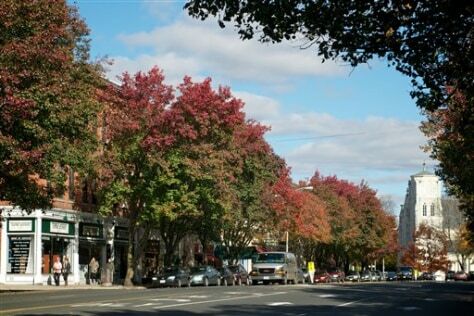 The autumn leaves begin to turn colors along Main Street, in Great Barrington, Mass. As the town prepares to celebrate its 250th birthday, W.E.B. Du Bois, one of its most famous and controversial native sons, is being included in its history and promotional material.